ESSIE is an alt/rock guitar player and vocalist from Perth, Western Australia. Her signature sound is a confident mix of bluesy guitar chops and soaring vocals. “The proud owner of an awesome set of pipes”(Drunkenwerewolf.com). ESSIE's debut EP Run Red and single Sugar Rush drew on an earthy mix of influences from The Black Keys and Jack White to Gin Wigmore. Hailed in press as “Alternative rock with a superb 70s twist”(Fireworks Magazine), the success of these DIY releases prompted ESSIE to relocate to London in 2015 to pursue a career in music. 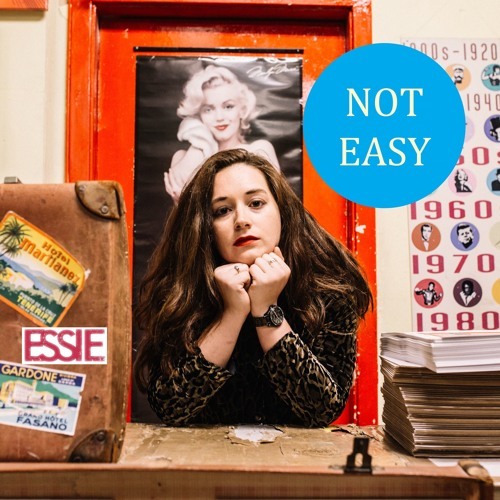 Performing with her trio, ESSIE is a regular in the capital's clubs, where she is building a devoted fan base enthralled with her raw, confessional songwriting and assertive blues guitar. Her second EP "Not Easy" was released on The Animal Farm label in 2016 and the title track , punchy and to the point, plays like an anthem for empowered women everywhere. Her follow up single, ‘Someone’ may simply be billed as a ‘break up song’, yet it’s one with a soaring plea for honesty that’s hard to resist. Lyrically ESSIE”s growing all the time, and in her new single ‘All of this’, due May 10th, she hits her stride blending the catchy and the thought-provoking in a mix that will entice her audience to join in. ‘Bloom’, due out this summer, may not be the same kind of singalong track, yet she delivers it with her characteristic bluesy, gutsy confidence that enables her to build the pace and tempo to match her increasingly assured voice. In an entertainment industry where women are finally flexing their muscles in every area, ESSIE’s music is yet another reminder of the power that they can yield.